can Well Known Text tables be used effectively, stored in Access or Base? My question is: How do I import WKT text data back into QGIS, and how useful could Base or Access be in storing the data using WKT rather than spatially enabling it within a proper GIS database, like Spatialite? I get an error when I use the "Add Delimited Text Layer" (within the Manage Layers toolbar) in QGIS 1.8 on Windows XP, to add data with multipolygon geometries from a WKT field. I select the WKT and Delimiters radio buttons. Before I press [OK], I check that the Sample text box shows the columns parsed correctly. A CSV file with commas scrambles the columns together by the tool, even though Excel reads it perfectly (it was created using QGIS, exporting a Spatialite table the OGR LAYER option to add WKT geometries column). And so I used Excel to SAVE AS a TAB delimited .txt file. The txt file, TAB delimited, pre-processing sample text shows that the data is being parsed into the proper columns perfectly. This looks promising, then I hit [OK] to process it and a dialog box pops up reporting it failed, "The layer...is not a valid layer and can not be added to the map [OK]"
Currently I'm using Spatialite with great success. But I'm experimentally trying to learn how to create and use WKT text files so that I can perhaps import them into Access or Base, to see how feasible it is to deliver data in alternative, consumer level database formats. The users would have experience with them, but I currently don't know very much about either. Good question, that would be very handy in lots of datasources. You can try VRT GDAL format in first approach, which allow you to generate 'fake' spatial datasources on the fly, using WKT or XY fields. One problem remains, reading MS Access or Excel efficiently..
can be opened directly by their filenames. So, theoretically, in Windows, you can open an Access database in QGIS (if it uses GDAL 1.10 and not 1.9.x) but the WKT format should be treated (?). Not the answer you're looking for? Browse other questions tagged qgis spatialite wkt ms-access or ask your own question. 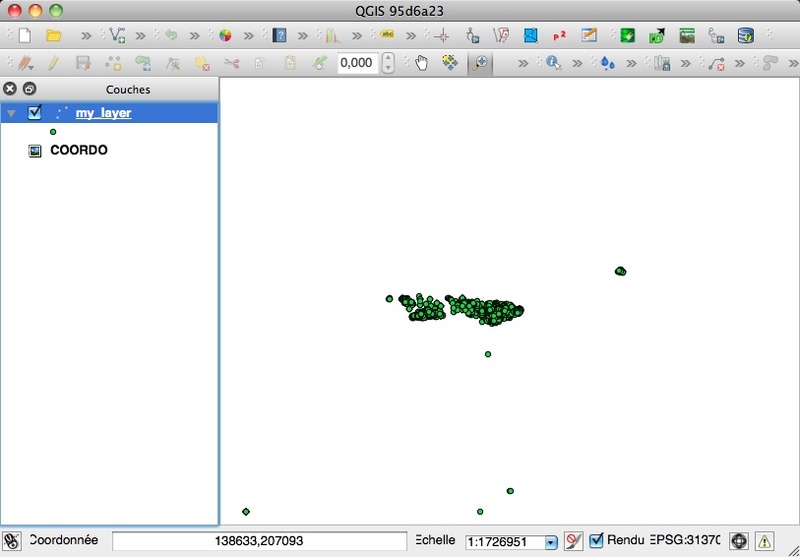 Can QGIS read an ODBC connection? QGIS How to draw lines from two points in a CSV? Add an Excel file with a list of coordinates to QGIS as a layer? PyQGIS - How to import WKT string from a CSV to a polygon shapefile?